Before I start writing anything and get to you the importance of Eid, I wish all the people across the world, A Very Happy Eid! Eid whether you call it the festival of fast (Ramadan) or the festival of joy, is one of the most auspicious occasions of the Muslin community. 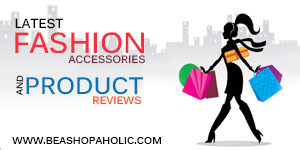 India being a country of variety of religions is also a place of varied festivals and colors. Eid being one of the most celebrated festivals all across the country is around and it’s time for celebration. After the fast for one month, the most awaited time for enjoying and breaking the fast has finally reached. The festival is enjoyed after viewing the moon “Chaand Raat “ and the next morning is celebrated with Sevaiyan and Methais while people visit their friends and relatives with wishes and gifts. The beginning of the day is marked with prayers offered by men in Mosques which is followed by celebration once they return back home. 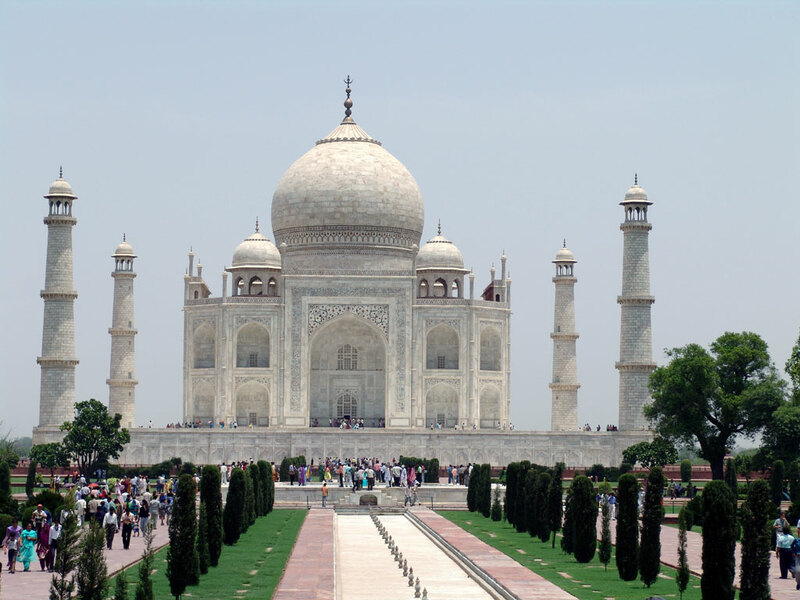 Beginning with one of the Seven Wonders of the World and the most famous place where people bow and worship prayers “TAJ MAHAL” is rushed with the Muslim devotees during Eid. After watching the holy moon a lot of people gather around the Holy Mosque inside the tomb and worship while celebrating and enjoying the festival of Eid with their loved ones. 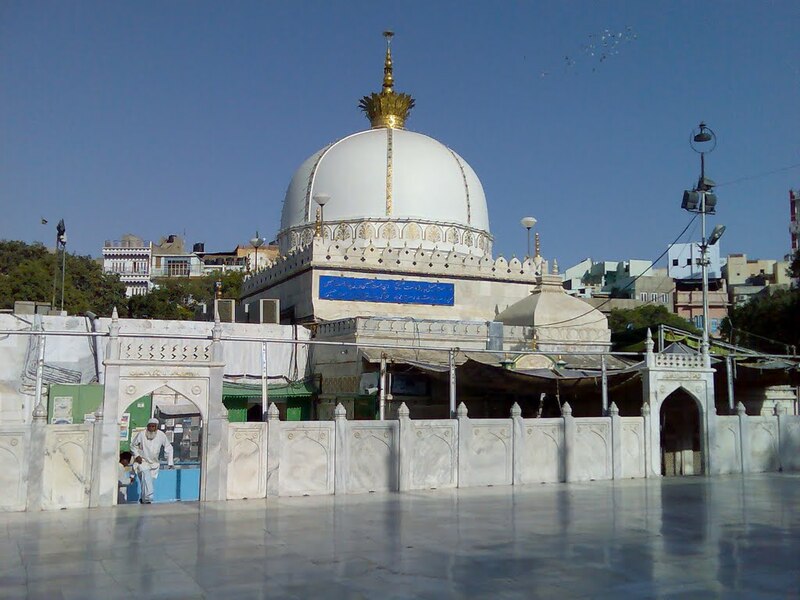 The other most famous place where you can visit to celebrate Eid is The Dargah of Hazrat Nizamuddin. 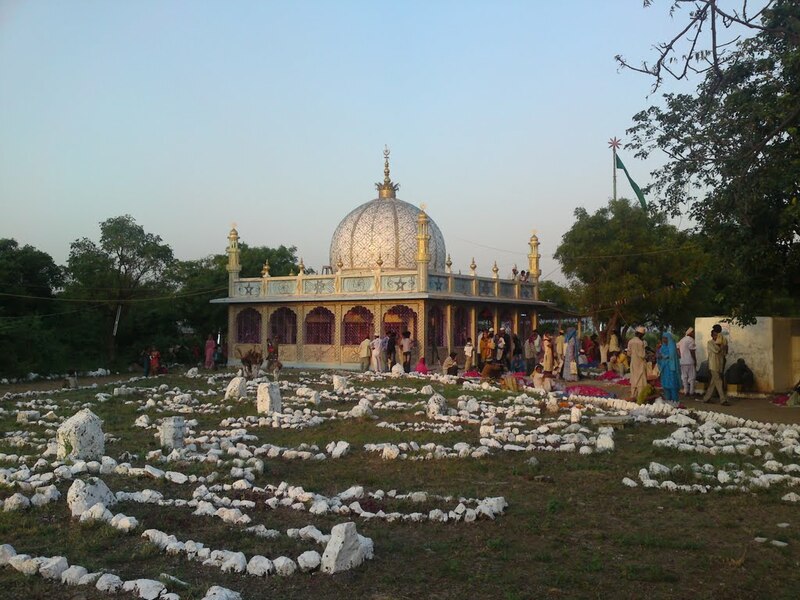 Located in Delhi, near the Nizamuddin area the Mosque is one of the most famous mausoleums of Sufi in the country. Eid is celebrated here with great zest and spirit. 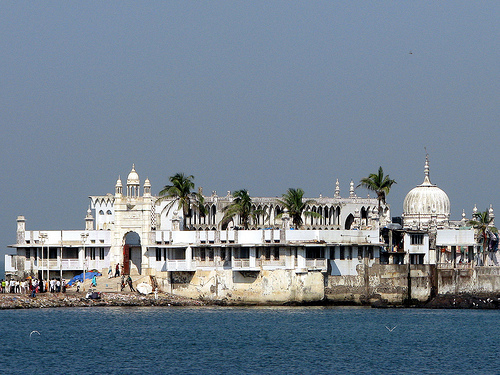 Moving on to the other most famous mosques in India where every Muslim tends to visit atleast once is the Haji Ali Dargah located in Mumbai. Situated 500 yards away from the main city between the Arabian Sea, the place is full of people offering Namaaz on the occasion. Regardless of cast and creed, people for all the religions and all across the world visit here to celebrate the promising day of Eid. 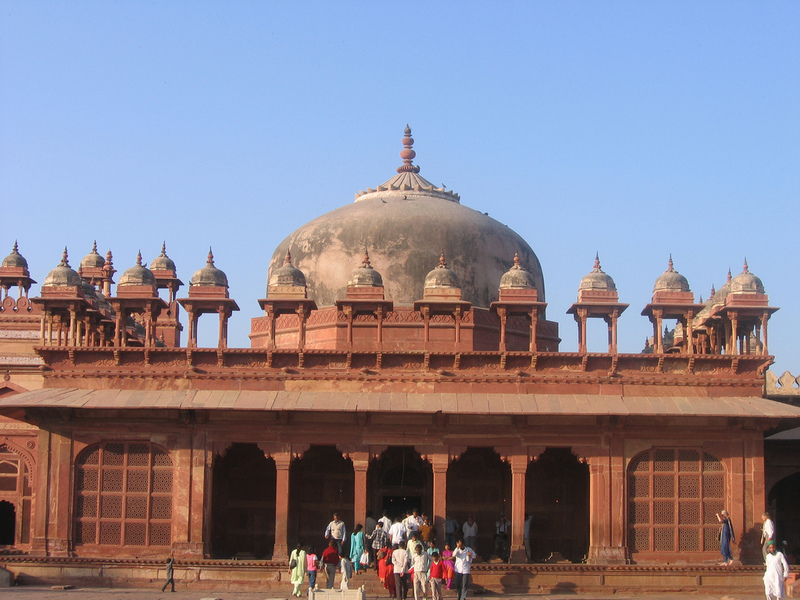 Another most famous Mosque in Agra where you can visit to celebrate Eid is the Jama Masjid in Fatehpur Sikri. One of the oldest Mosques in India the Holy place is full of the devotees even before the sun rises in their best attire to offer prayers and take blessings for themselves, their families and friends. Rajasthan, the city of colors and beauty is also the place of most religious forts and Tombs and there comes the most famous “Ajmer Sharif”. Known as the place where every wish is fulfilled, this is one of the most celebrated and marked Mosque for the people to visit and offer prayers. As said, No one coming here with prayers ever returns empty handed, this place is full of crowd to offer prayers and celebrate Eid. So while you enjoy the Sevaiyan and Methais this season do not forget to make a little charity so that when you enjoy the festival, someone would be blessing you for making their Eid as happy as yours. 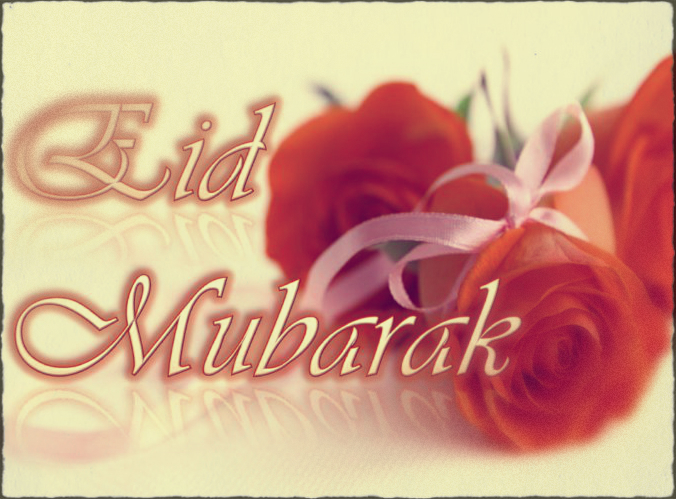 Happy Eid everyone! Previous PostBest Ways to Enjoy this Monsoon!Next PostDon’t Miss a Hike!